Spoken Word. Comedy . Theatre. Music in the iconic Connolly’s of Leap. This month we bring you music from Mountainous Riff Club, Colin Deady, and Cara Kursh Music. 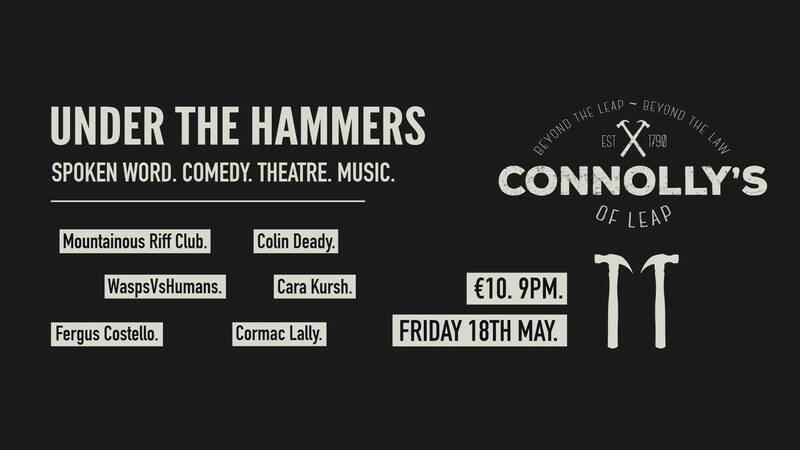 Spoken Word and poetry will be covered by the brilliant Cormac Lally and Fergus Costello.